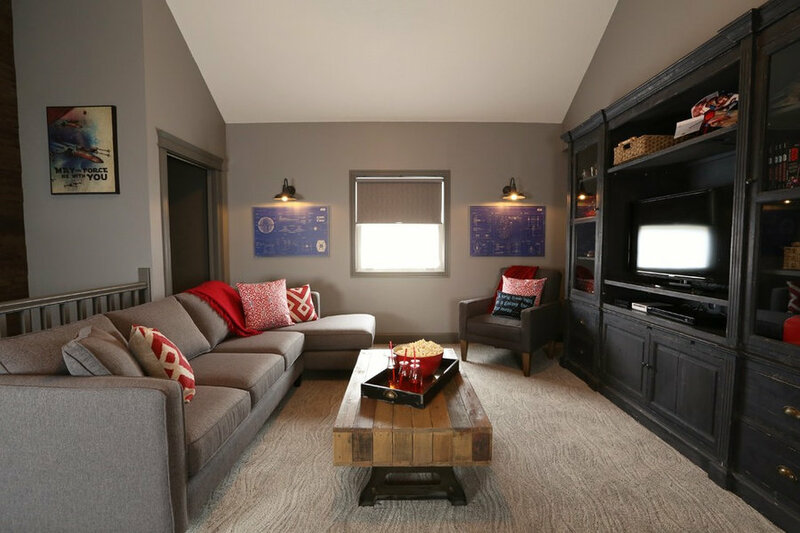 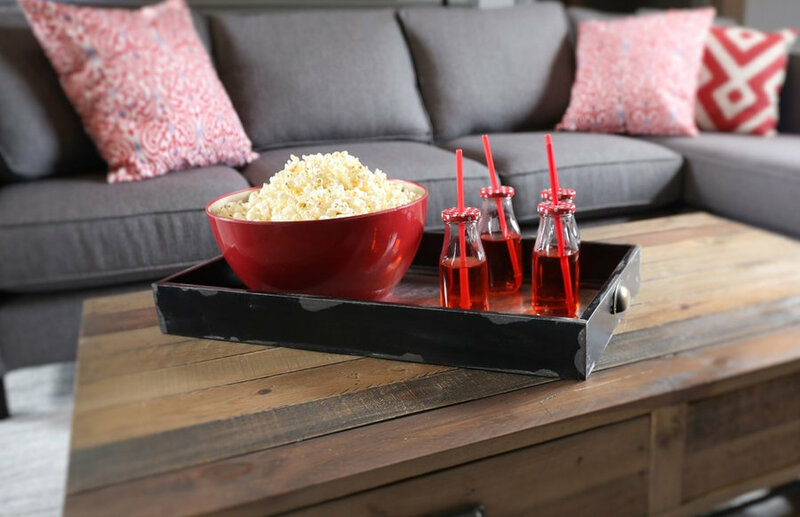 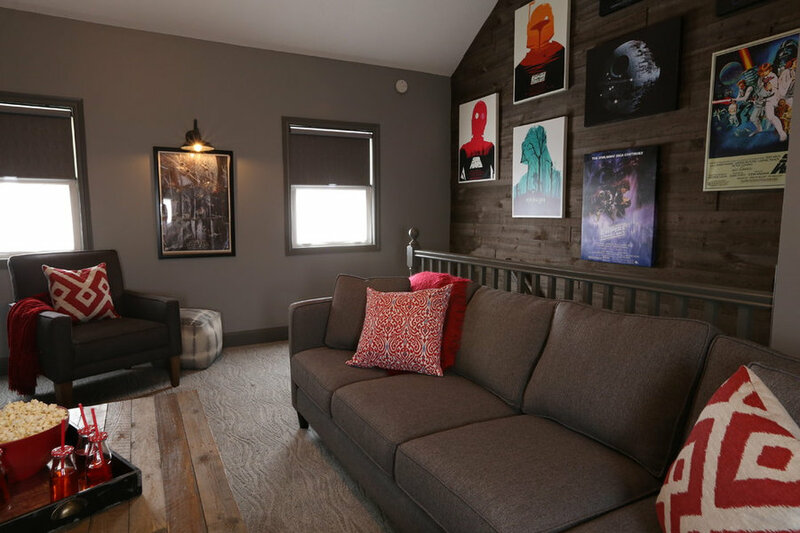 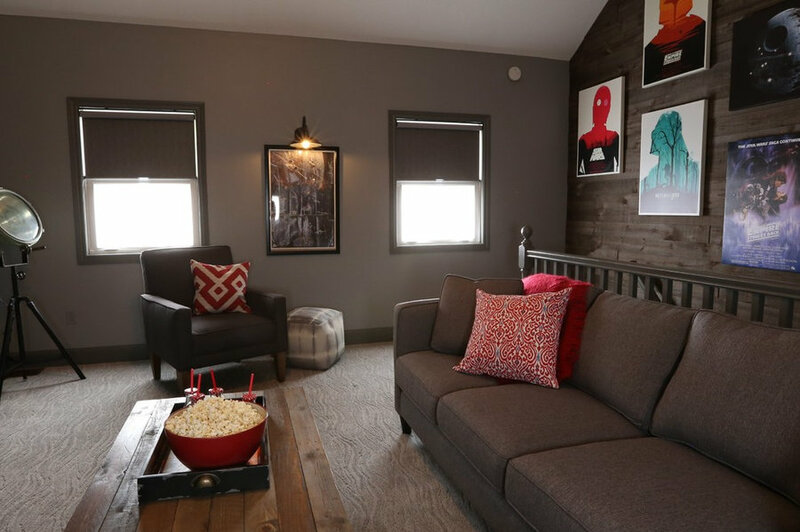 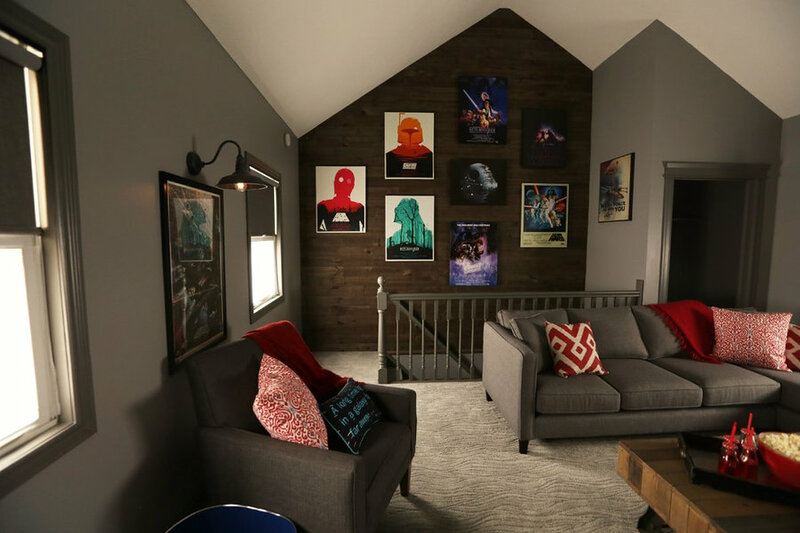 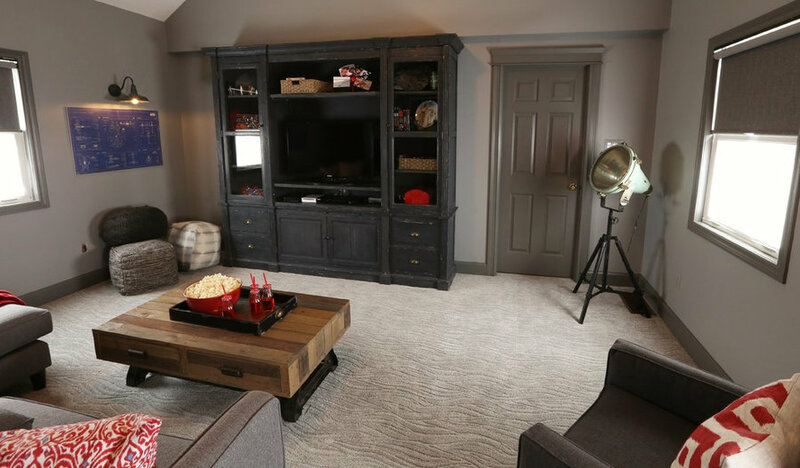 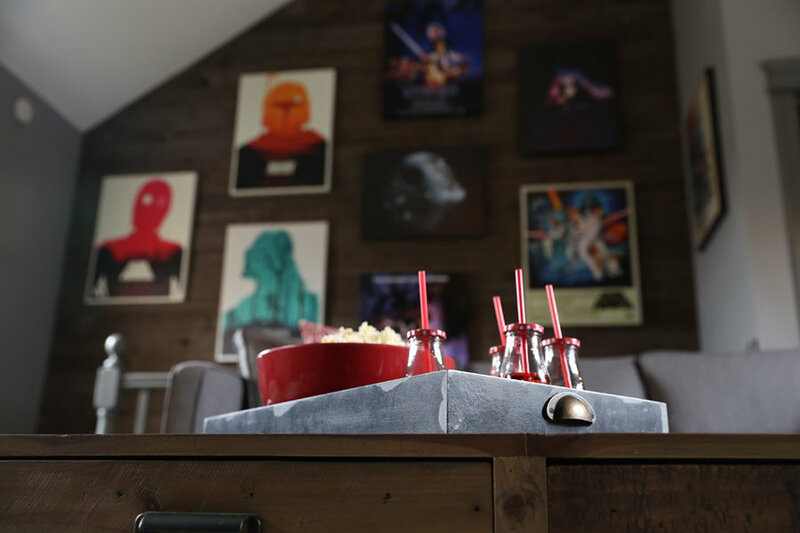 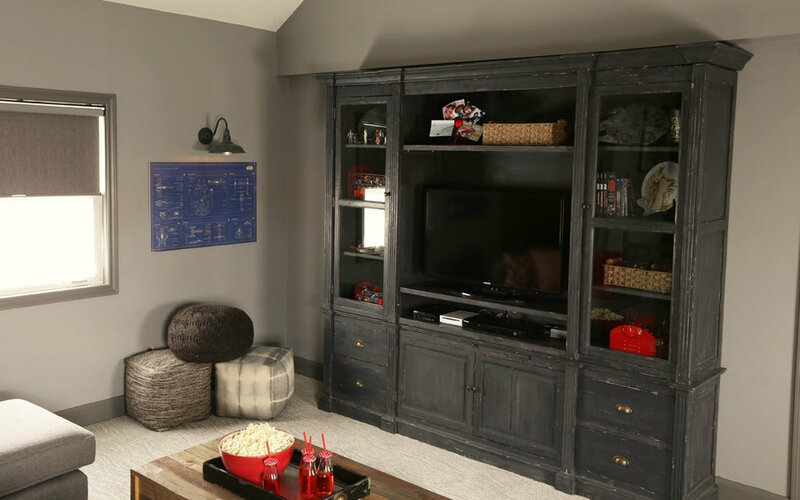 Our clients wanted to transform this second floor room into a family friendly gathering space for spending time together and watching movies. 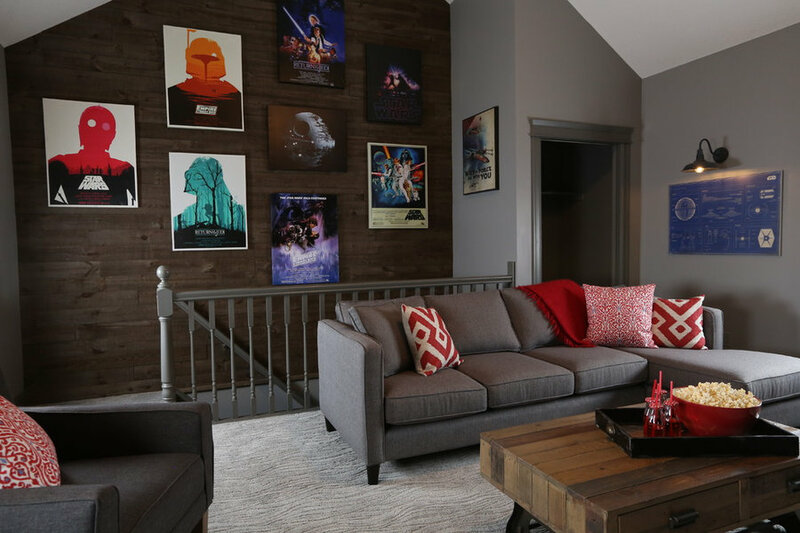 It was time to update the carpet and wall colour leftover from previous owners. 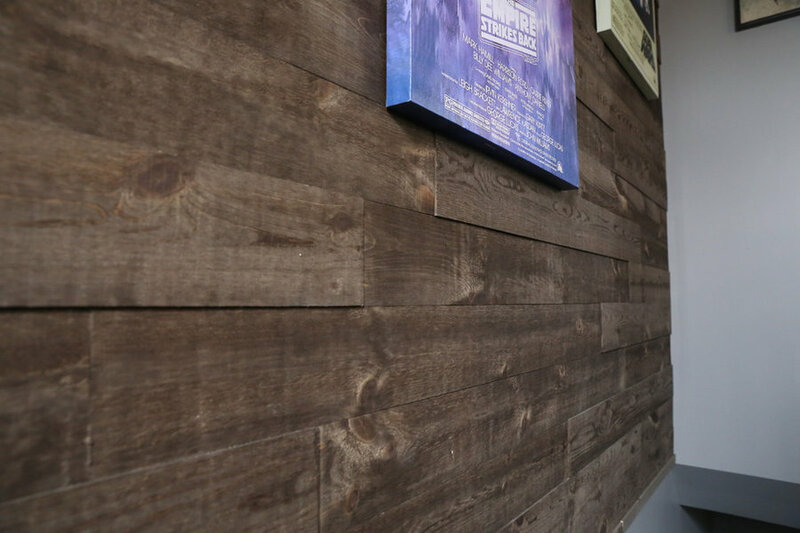 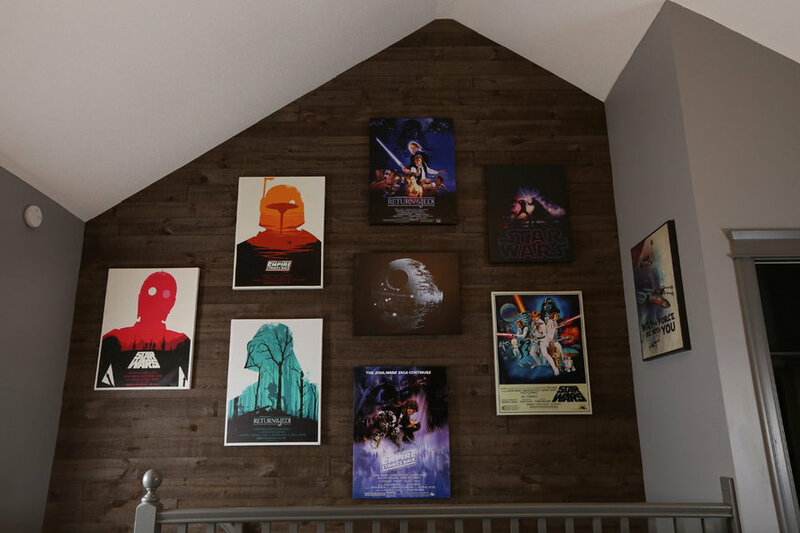 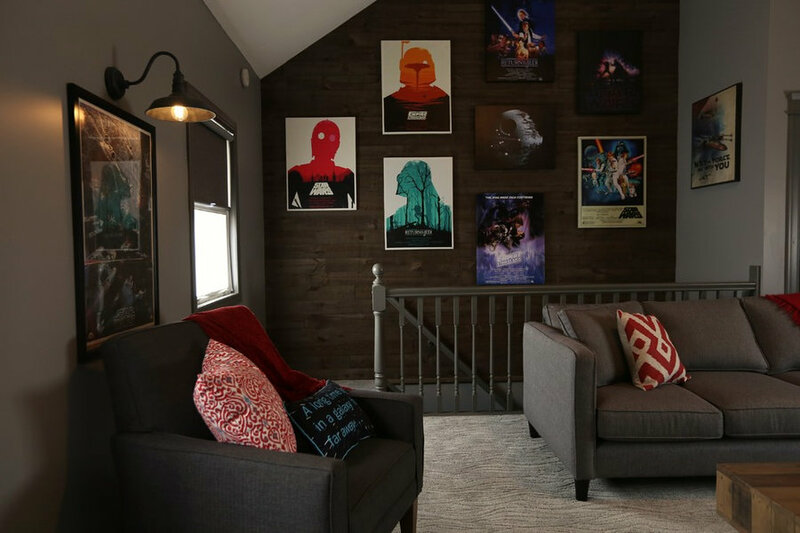 Custom Star Wars poster wall.